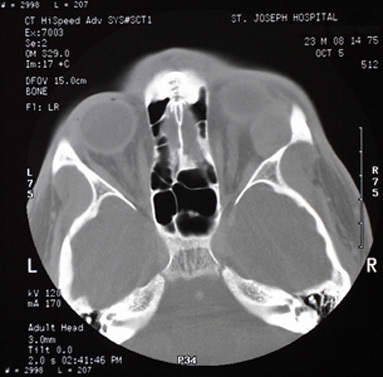 The orbital socket containing the eye socket or the eyeball, extraocular muscles, nerves and vessels of the eyeball. Some tumors can form in this space or migrate to this area from other parts of the body. 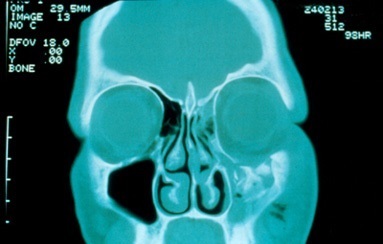 It is important that the patient undergo a thorough eye examination and additional imaging studies such a CT scan. 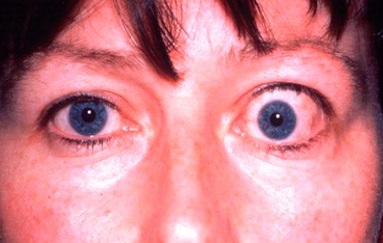 Thyroid Eye Disease or Grave’s Eye Disease is perhaps the most common orbital disease in our population. It is an autoimmune problem, most commonly noted in patient with a history of either high or low thyroid hormones. However, some patients might demonstrate no evidence of thyroid dysfunction. 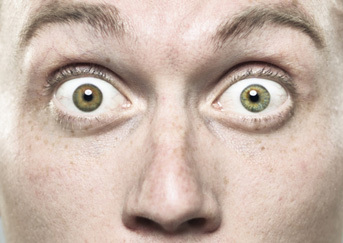 Thyroid Eye Disease can go into periods of remission as well. When it has been inactive for a period of more than 6 months, it’s less likely to recur.